Starting Friday, Feb. 8, at 7 a.m. buses will reroute due to street construction near River Market. Construction is expected to last through the end of April, but may last longer. 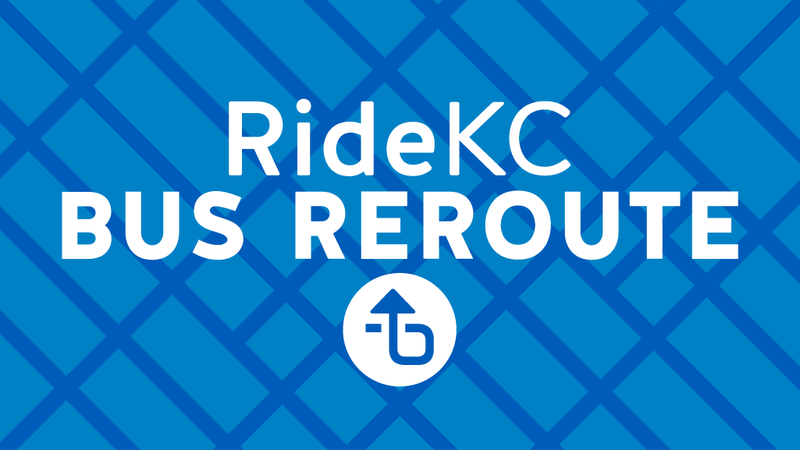 Main MAX, 10 Woodland-Brooklyn, 85 Paseo: Northbound buses will travel the regular route to Grand, then east on Missouri, north on Locust, east on 5th Street, and north on Cherry to 3rd Street. 55 Universities-Crossroads: Westbound buses will travel the regular route to 6th and Wyandotte, east on 6th Street, north on Grand, then east on Missouri onto Locust, then travel north on Cherry to 3rd Street.